When GTM first started, it focused on building relationships and bridging the gap between companies in other countries in order to give them an easy and affordable way to do business and market in other countries, a practice we still do to this day. Our contacts and experience in this field allow us to explore other avenues of business. GTM Titanium together with GTM Mineral MX (Mexico) and GTM Dajing Titanium (China) will work as a group to focus on serving worldwide demands of Titanium and related products. The products supplied range from ilmenite, synthetic rutile, to titanium sponges, titanium dioxide and titanium metal products. A synthetic rutile plant with a total output of 480,000 tons per year will be built in China over the next few years, and its high quality synthetic rutile will be the main feedstock of chloride process manufacturing titanium dioxide and titanium sponges, not only in China, but all over the world. 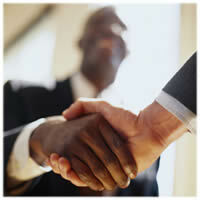 GTM is a big proponent in bridging the gap between countries in doing business. We are also involved in selling excavation equipment, aerospace material, and different types of metals all over the world.